This post will details the 1999 Ford Ranger Wiring Diagrams.There are some parts I have to show you to be understood before you have any attempt on the 1999 Ford Ranger. These part are clearly shown in the schematic wiring diagram. You have to notice them all to know the details. The parts shown in this schematic wiring diagrams, namely: fuse junction panel, PCM power fuses, battery junction box, instrument cluster, radio noise capacitor, PCM power diode, PCM power relay, power control module, crankshaft position, ignition coil digital transmission ranoe sensor. Beside the parts shown in the schematic 1999 Ford Ranger System Wiring Diagrams, there are also the color codes to differentiate each parts, so you are ease to read the schematic wiring diagram of the 1999 Ford Ranger System Wiring Diagrams. 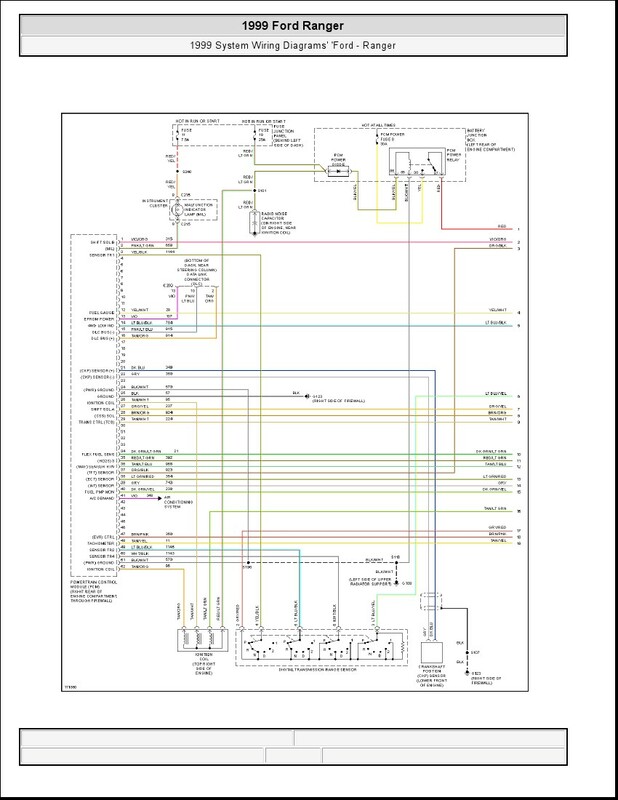 After you understand the both, parts and color codes, now you are ready to have any attempt on your 1999 Ford Ranger System Wiring Diagrams. Be sure to minimize doing mistakes and failures. 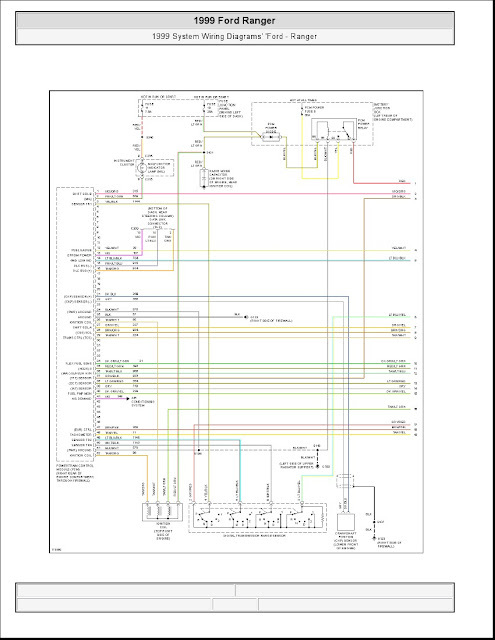 Here is the image of the 1999 Ford Ranger System Wiring Diagrams. Click on the image to enlarge. use the Picasa Photo Viewer for the best view.